Hamburg Police say a woman left her home to go to work Thursday morning with the man who broke into her car overnight sleeping in the rear cargo area unbeknownst to her. HAMBURG, N.Y. (WKBW) — Hamburg Police say a woman left her home to go to work Thursday morning with the man who broke into her car overnight sleeping in the rear cargo area unbeknownst to her. “I’ve been here going on 18 years and never has anybody driven the suspect to the police station for us like that," Hamburg Police officer, Josh Eagan says who discovered the man in the back of a dark blue Chevrolet Traverse. Police say the woman entered her vehicle to leave for work and noticed a few things were out of place but continued on her way to get her morning coffee. She noticed there was money missing when she went to pay for her coffee and there were items in her car that did not belong to her. The woman realized someone broke into her car overnight and stole a few items, she called Hamburg Police and was told to head right to the station. 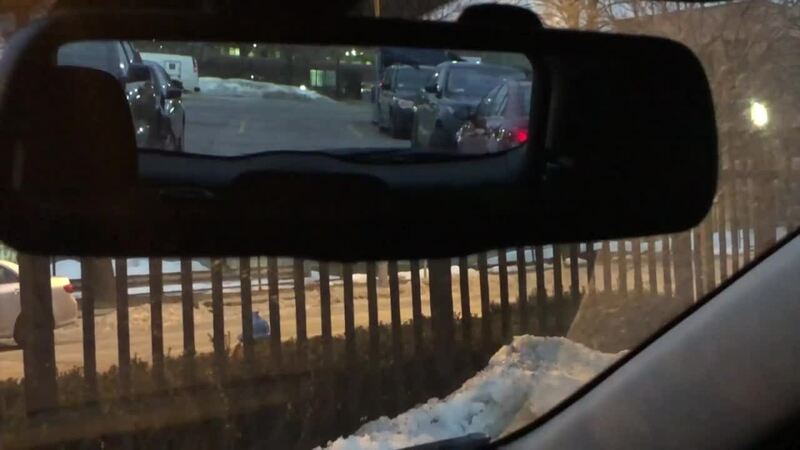 When the woman arrived at the station an officer went out to check her vehicle for any items left behind, it was then that the Eagan discovered the perpetrator sleeping in the rear cargo area. “She was freaked out, kind of gave a scream and ran away from the car a little bit. I think afterwards she was relieved that he didn’t wake up while she was driving or if she didn’t come down here on the way to work," says Eagan. 23-year-old Gregory Victor of Lackawanna was arrested and charged with petit larceny and unauthorized use of a vehicle. Victor was remanded to the Erie County Holding Center, he is due back in Hamburg Town Court later this month. The woman's car was unlocked.